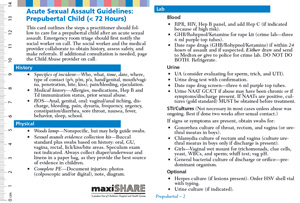 Customized pocket tool to help examiners provide consistent, comprehensive, and evidence-based health care to potential sexual abuse victims. For this customized version, our product developers will add your specific Referrals information. You will receive an electronic Adobe Acrobat PDF file. You will be responsible for printing any paper copies.